Ways to go Cashless in India. This is the only one easy way for an illiterate, then just handing card to petrol pumps and entering the PIN and checking amount also. Swipe card >> Enter PIN>> check The Amount. Now we are using all Debit cards as the credit card except for only international Transactions. Debit cards not allowed to make international Transactions. but we use it online shopping at Indian merchant like Amazon, Flipkart, Snapdeal etc. 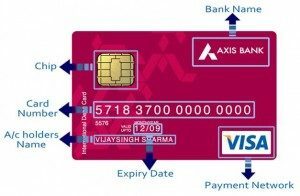 How to Use ATM /debit card for online transactions? Then it will redirects to Authorized website asks you to set the password with your ATM PIN. in case you forgotten you can reset by mobile number or ATM PIN. Enter the password you created click to confirm the transaction then it will redirect to Merchant website. you can see transaction is successfully either decline or unsuccessful. Net banking Registration: it’s easy you can register with ATM Card & bank account Details. you can register for Net banking online with ATM Card Popular banks like SBI, SBH, HDFC and other etc. Bank wire transfer: NEFT/RTGS/IMPS/Same bank Group. IMPS: Stands for Immediate Payment Service, Instantly transfer Up to 2 lakhs But within 24 hours of the new beneficiary only 10,000 Transfer limited instant. but You can use NEFT for remaining amount. only for the 1st 24hours. RTGS: (Real time gross settlement) Minimum 2 lakhs for this Transaction. instant credit is the main feature. New Bank Account Activation time: Within 4 hours it will be Activated (3.15 hours). You can activate instantly with ATM Card. Go to Nearest Select Services, Approved, Beneficiary enter IRTA (Which is Available instead of Mobile Activation. you can check it about more on SBI Net banking Tutorials. Flash News! : Every Bank Now offering Internet banking registration Online with ATM card, unlike branch Activation. look at HDFC nett banking registration online. Almost all banks have Android & IOS mobile apps, Just download the app. you can learn how to use the app automatically, All state bank groups have only 1 app & SBI Holds 1 separate app(State bank anywhere). HDFCPayz app popular in private sectors. You can Add money to your wallet from net banking/Credit card and ATM /Debit card. Maximum Amount for any e-wallet 20,000 as of now. Send money to other e-wallet account holders using Mobile number. 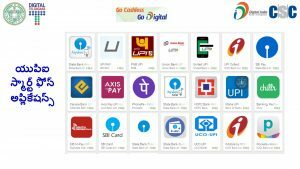 You can download Paytm App from Google Play Store (Android store). Now, App you can login in Chrome Browser in your mobile. Enter your mobile number and you can Get OTP to your Mobile number enter to login. once you logged in you can send receive money through Paytm wallet. How to register on Paytm? Download App or visit web page on the browser. enter your mobile and email id, You can OTP Authorize OTP and Create a password for PAytm. then you can log in. How to send / Receive / Add money to Paytm wallet? Click on Send and OTP Generated on receiver mobile phone. enter that OTP in your app to successful transfer. There are 20+ e-wallets India. choose the best one. Use e wallets instead of Credit/ debit cards and net banking to Avoid Transaction fees. what is UPI (unified payment interface)? How UPI Money Transfer Works? Just like Email transfer. Yeah, it’s true. Forst of all you have to create an email id called Virtual Payment Identification Number or Virtual Payment Address. Then you can Transfer money as sending the email. There is Every bank holds aUPI App, But UPI Improving one app for all banks. but we can use 3rd party apps for all banks. but focus on security. What Is (Virtual payment Address) VPA & UPI? Send Money Through Mobile USSD Codes? USSD Mobile banking Available in 11 Regional languages In India. Registered Mobile number with Bank account. What is MMID & How to create It? MMID- Mobile Money Identifier, a 7 digits code, allotted by the bank, when a user registers for mobile banking. Actually, MMID used to send Through IMPS but IMPS also use bank Account with IFSC so we may not need for IMPS transaction. What is MPIN & How to create & use it? MPIN means in banking Personal Identification Number. Used to authorise IMPS Transactions & USSD based Transaction.4 digits PIN to authorise transactions. every bank has the different way to create. Hindi (*99*22#), Marathi (*99*28#), Bengali (*99*29#), Punjabi (*99*30#), Kannada (*99*26#), Gujarati (*99*27#), Tamil (*99*23#), Telugu (*99*24#), Malayalam (*99*25#), Oriya (*99*32#) and Assamese (*99*31#). Cons: Sometimes you get Disconnected as USSD overloaded. Transfer limit 5000-6000 per day. Highest security among transactions. with this, every person has to update Aadhaar Number with the bank. In the time of transaction enter the bank name (we may one more bank accounts) authorise with thumb impressions or iris. These virtual credit cards you can create credit card by net banking add some amount to use it. also, you can close the card whenever you want remaining amount will be credited to your bank account. 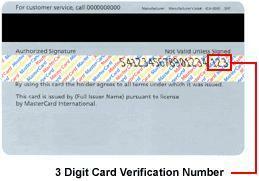 Main reason to use this prepaid cards: Security, No loss of CARD CVV, PIN Card details. SBI Card eligibility & tutorials, Syndicate bank online banking. POS: Point of sale SBI Offering Swiping machine for 200 Monthly rental & it takes 10 days to get the machine more details how to apply for pos.